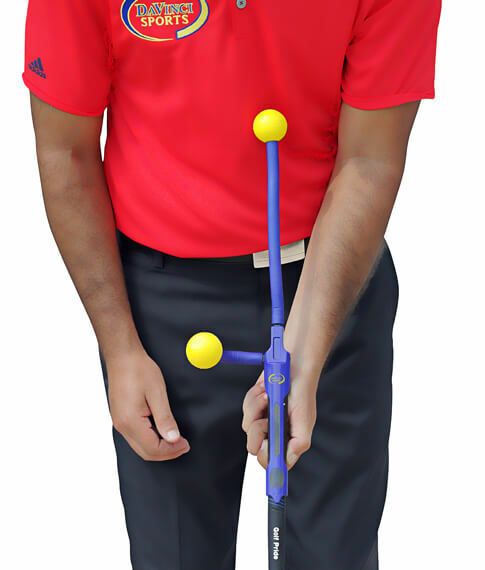 Easy & Quick Way for Better Golf Swing! Finally! 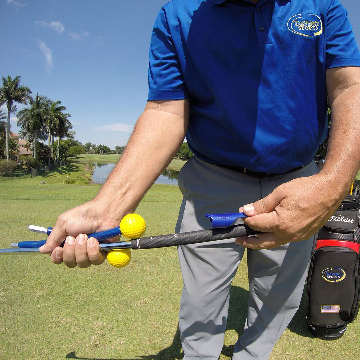 A golf swing trainer that can fix virtually every single problem in your golf swing. 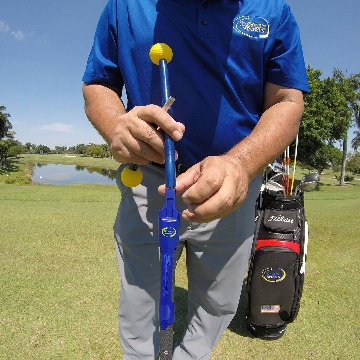 The Total Golf Trainer is truly the “Swiss army knife” of training aids. In fact, because it is such a versatile training device, it can easily replace several training devices already on the market due to its adjustability and ease of use (written & video directions included). 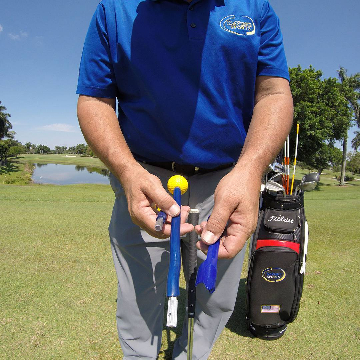 It’s the only training device on the market that can help you eliminate every flaw in your golf swing. Simply attach it to the end of any golf club with a standard size grip, and you’re ready to go. 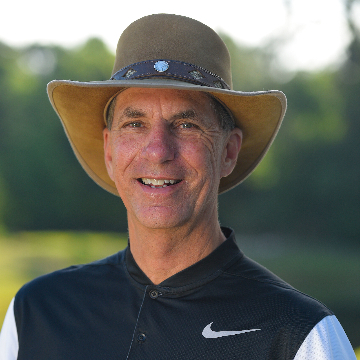 We even provide a library of videos lead by PGA Professionals Martin Hall, Mike Bender, and Warren Bottke so that you can learn more about all of the different ways you can utilize the Total Golf Trainer to become a more consistent ball striker and lower your scores. This is when the shoulders get too flat in the backswing, which can cause a wide variety of swing faults. The TGT has settings that give you a visual point of reference to keep your shoulders on plane so you can make better swings. This is one of the most common faults in golf that results in very inconsistent ball-striking. The TGT provides settings that will eliminate the flip and provide more solid chips, better distance control on pitch shots, and more distance on your full shots. The body is the engine of the swing. The TGT teaches you the correct body sequence so you can generate effortless power and improve your consistency. The chicken wing is pulling of the arms into the body at and after impact, which causes you to top the ball and hit big pulls and slices. The TGT provides settings with feedback you can feel to eliminate the chicken wing from your game forever. 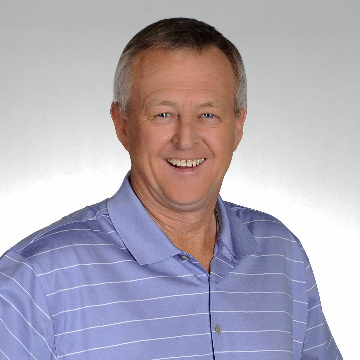 The most common line said by your playing partners is “you came over that one”. The TGT will allow you to take control of your game, learn how to get the club into the slot on the downswing and deliver more power to the back of the ball at impact. Positive/negative feedback. You’ll learn how to “feel” the correct positions throughout the golf swing so you know what a great swing feels like (a proven approach to improvement). You’ll master the takeaway, perfect your club position at the top, learn how to drop the club into the slot, and unload mercilessly on the golf ball with a powerful release. The Total Golf Trainer teaches you how to control the clubface and get into a perfect position at the moment of truth; impact. You can hit shots on the driving range or practice green area with the Total Golf Trainer, or you can use it at home to practice your full swing, pitching and chipping. It’s the multipurpose training device you need to fix your faults and hit all the shots you need to shoot lower scores! The club face controls how much the golf ball curves. The TGT has multiple settings to teach how to square the clubface at impact and hit a consistent draw or fade. The TGT has multiple settings that teach a correct takeaway by creating the proper amount of hinge and body rotation on the back swing. The TGT provides specific settings that will force you to keep the club on the correct path and find “the slot” every time. By having settings that you visually can see, and that provide touch and no touch feedback, you’ll improve your downswing in no time. The moment of truth. It’s no secret most golfers are searching for a better feel at impact. The TGT has settings that teach a perfect impact position when chipping, pitching or hitting full shots. The positive and negative settings let you choose which setting is best for you. The power and shot shape rely heavily on extension and release of the club and body. Certain TGT settings can be used to improve your extension after impact so you can release the club perfectly for a more consistent ball flight. 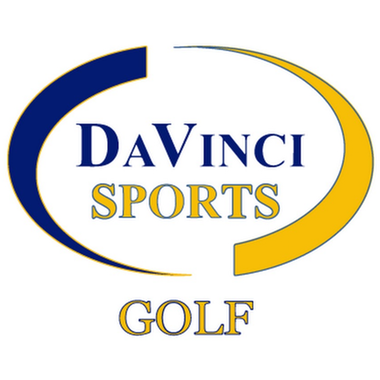 Try any DaVinci Sports Golf Training Aid for up to 12 months. Put it to the test, and see what kind of results you get. 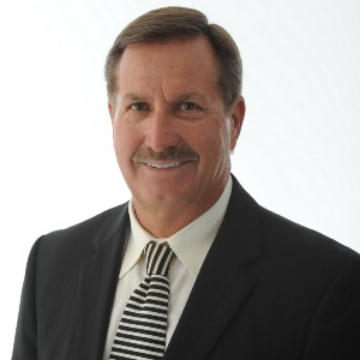 We’re confident you’ll significantly improve your game. 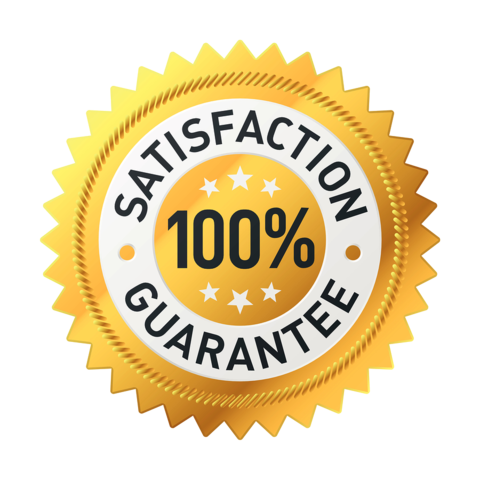 If you are not 100% satisfied, contact us to take advantage of 365 day full money back guarantee. The best golf swing training aid on the market.